In August, I visited the Hercules Brewing Company in Belfast which is home of the Yardsman range of beers. They gave me a few bottles to write about as I was leaving. I was impressed by their stout when I was at the brewery so I was looking forward to seeing what the rest of the range is like as we don't really see them in Dublin. BPA is a 5.6% Pale Ale. It's pretty tasty with a malt forward body and lots of dark fruity esters. There's a distinct bitterness which balances the sweet malt body. 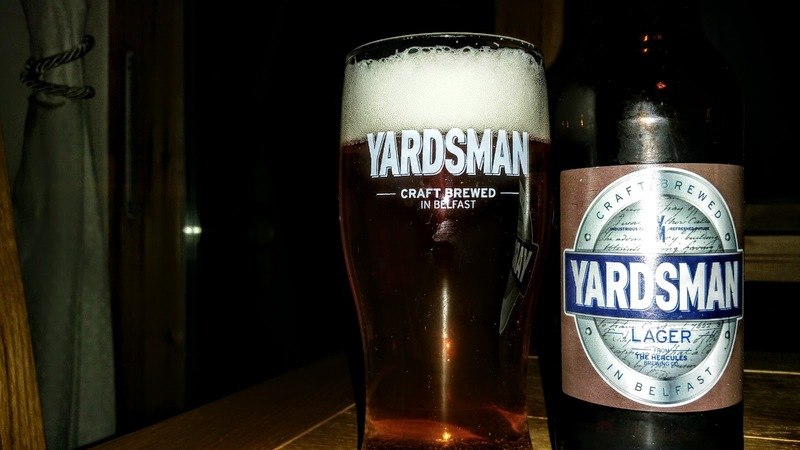 A good solid pale ale with plenty of flavour and I reckon it would make a good cask beer. 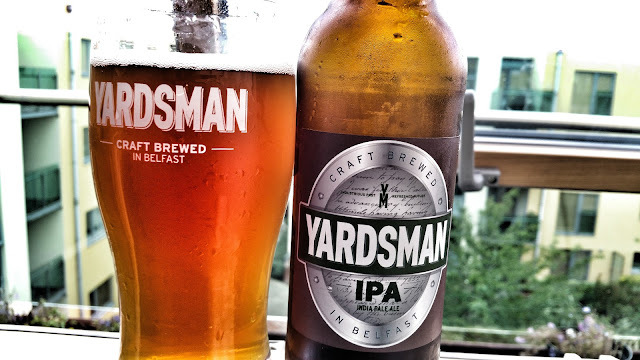 Yardsman IPA is a 4.3% IPA. OK hang on a second, the pale is 5.6% and the IPA, traditionally a stronger beer is only 4.3%? That's a pretty strange way of doing things but not unheard of. I reckon they are going more for the type of hopping used which is plenty of orange pith and citrus notes. There's a little malt sweetness but not too much so it's pretty bitter. There seems to be something lacking in this one. As a bog standard sessionable pale ale it's grand. IPA conjures something else in my imagination these days. The Lager is their first and flagship beer and it pours nicely, looking very clean. In fact, clean is how I mostly describe it. 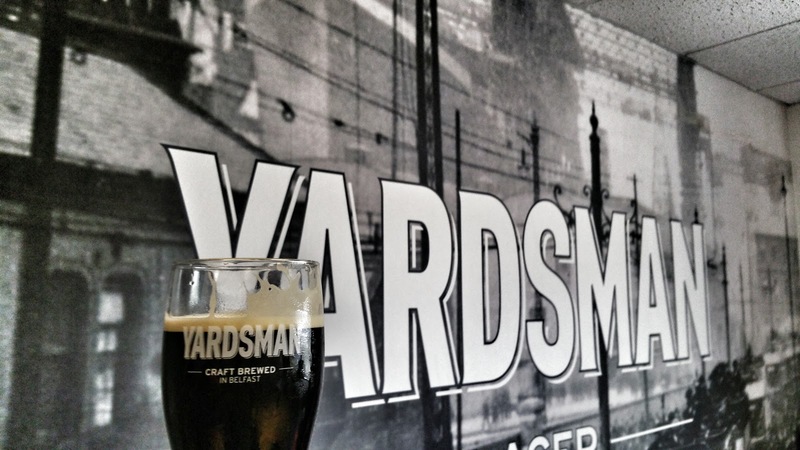 A pretty standard lager with some biscuity grain notes. 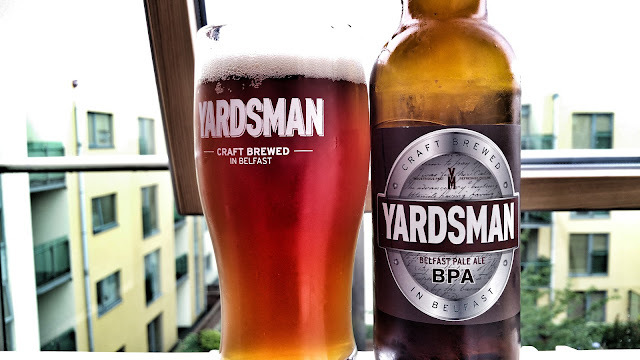 It's very difficult for small breweries to do a lager that stands out from the crowd without whacking in a load of hops and since their main market would be the Harp and Tennent's drinkers in Northern Ireland, it does exactly what is intended and acts as a gateway beer. A big thanks to Niall for the beer. For me, the stout was truly excellent and the BPA very good too. I would consider a change of style-name for the IPA myself.